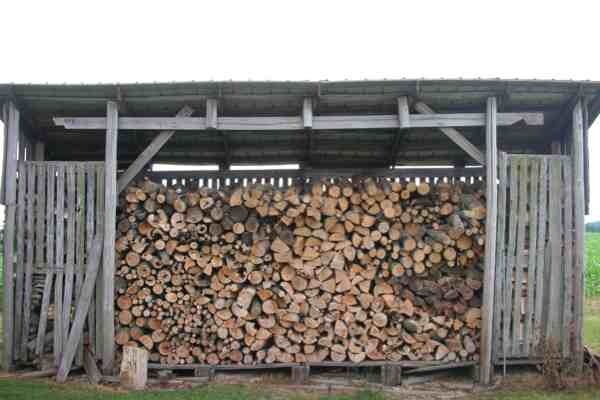 When storing firewood it's important to choose the correct storage method to protect your hard work and investment. You've spent all day, week, or even month cutting your firewood for the season. The last thing you want to do is throw it into a big pile and expect it to be ready for winter. Lets face it, mother nature can be tough. Wood in particular is very susceptible to the elements like rain and snow. Improperly stored wood could lead to wet, unseasoned wood that's prone to decay. Plus, a big ole pile of wood looks pretty appealing to all sorts of animals and bugs who are looking for a place to hide......not exactly what you want. A trapping guide teaching you how to identify, locate and trap a variety of furbearers or nuisance animals. Firewood that comes into contact with the ground is exposed to moisture and insects which increases the rate of decay. Over time this wood will become nearly useless. Moisture also increases the odds of mold growing on your firewood. Read here to learn about burning moldy firewood. Have you ever thought about stacking firewood between the trees in your yard or fence line instead of using T posts or stacked wood as bookends to brace the ends of your woodpile? The trees make an easy end support, but if you don't follow a few simple rules you can damage and even kill the support trees. If you're interested in stacking wood using this method make sure you read this article about stacking firewood between trees to make sure you don't damage or kill the support trees. Or, if you have some old pallets laying around, check out this article that explains tips and techniques for stacking firewood on pallets. I also built a firewood shed using a pallet floor. If you're interested in building a shed, trying using these free firewood shed plans. 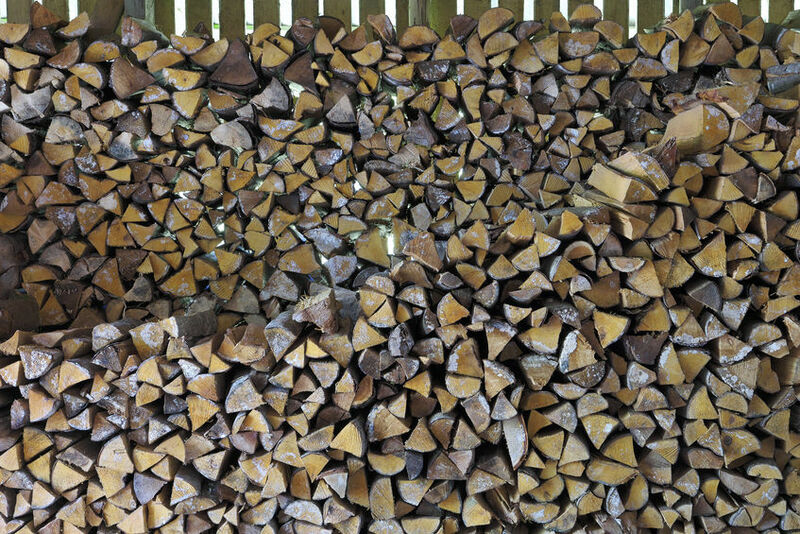 Before storing firewood you should first understand how to stack firewood. Properly stacked firewood will last a lot longer than a pile in the middle of your yard. Click here to learn how to stack firewood. When storing your firewood you must think into the future. You want an area that's not intrusive to your yard but close to your house or wood furnace. Carrying firewood everyday to your house or wood furnace is time consuming and labor intensive. Since most firewood logs are heavy and bulky, several trips usually have to be made. Do yourself a favor and store your firewood in the closest practical location to your heating device. You will thank yourself for it later. You can also use a log carrier to make transporting split firewood easier. The carrier allows you to move several pieces of firewood at once, plus it prevents bark, snow or other debris from falling on your living room floor. To learn more read our Mountain Log Carrier Review. Another great option is to build a homemade outdoor ﻿firewood storage rack﻿. I built a homemade firewood storage rack out of some treated 2x4's I had left over from another project. 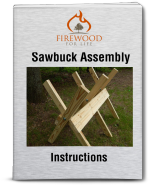 Click on the link to see the firewood rack plans or to make things even easier you can download our firewood rack assembly instructions. Need more ideas? Firewood rack brackets can also be used to build an adjustable firewood rack. They make building a strong, stable firewood rack quick and easy. The following links describe practical options to store your firewood and keep it dry. Click on one to learn more about the device and see if it works for you. Why Should I Season Firewood? Properly seasoned firewood burns better and is safer due to the low moisture content. Click here to learn how to season firewood. There's a lot of different ways to store your firewood to ensure it's ready to burn when you need it. Consider all of your different options for storing firewood and choose a method that works best for you.